Saturday I went skiing in some part of Southern Vätterleden, east of where I normally ski. I was curious if the walking trail was suitable for skiing also. I can now say that I do not recommend skiing with only 15 cm of snow. Furthermore some part of the trail is at the same time steep and narrow, which make it rather dangerous when you ski downwards. Maybe I make a new try a coming winter with a lot of snow, a day when I have more time and can go further east. I lost my lens cover somewhere in the snow. Actually went back some part of the trail looking for it, but it is like looking for a needle in a haystack. The photo above is typically not from the walking trail, but a hill only 1 km south of my home. 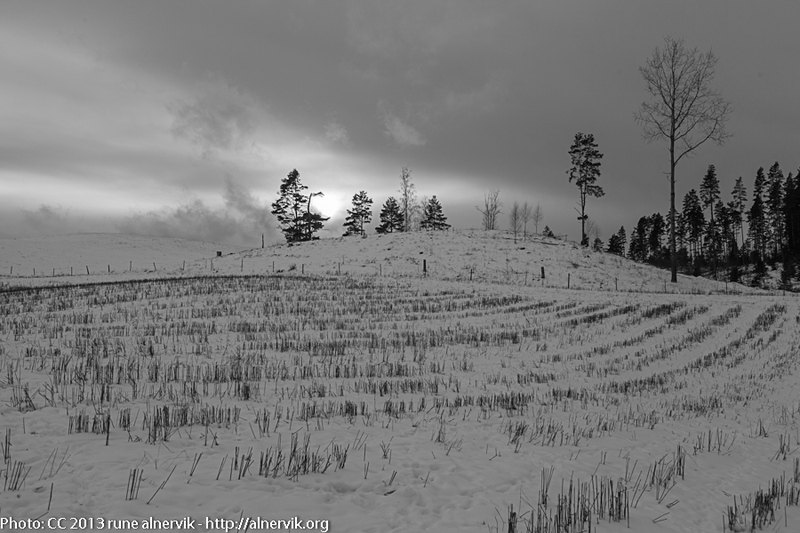 This entry was posted in Landskap, Natur and tagged Natur, Skidåkning, Snö, Vinter on 2013/01/30 by Rune.